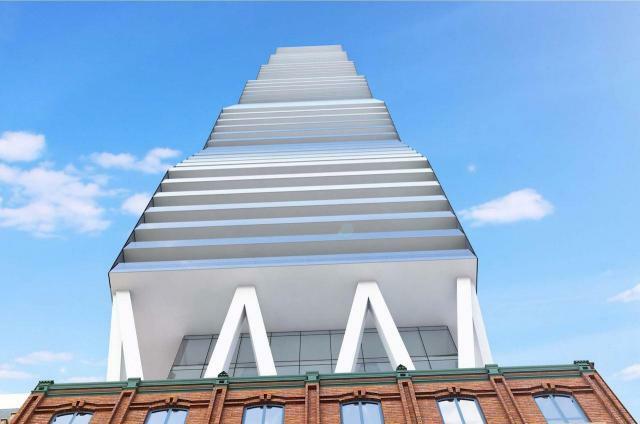 8 Elm Street Condos is a new redevelopment planned condos projec Located at 8 Elm Street, In Toronto, The Main intersection are Yonge St/ Gerrard st West. 8 Elm Condos features 80-storey residential tower with 469 residential suites, along with 7,696 m² of commercial floor area. 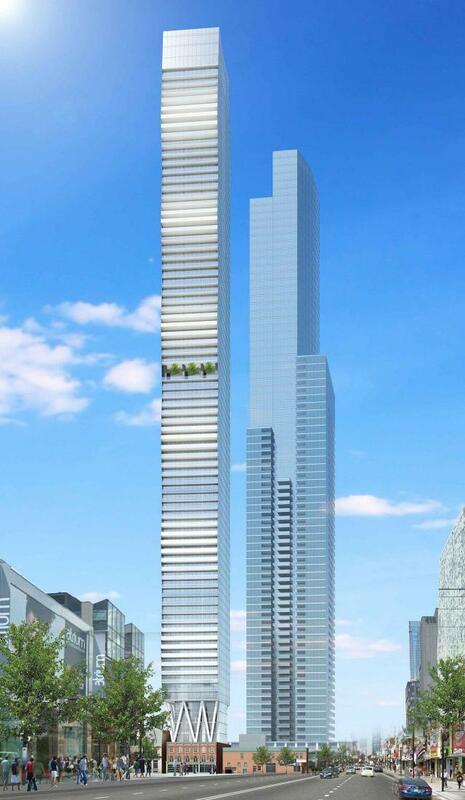 The renderings depicted show the body of the tower rising above a compact base, and supported by cantilevers above the heritage structure. Along the tower levels, a greenscaped terrace is also visible. -minute walk To TTC College subway stations. 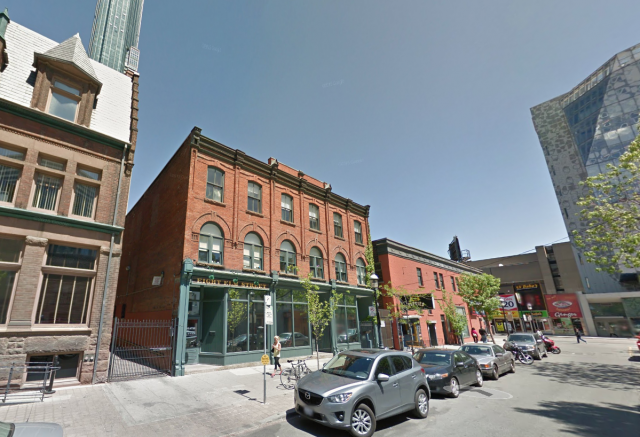 -walking distance to the university of Toronto, Ryerson university. – very close to the 5 major hospitals. -close to the city Hall, finical district. 8 Elm Street Condos the tower features a design by Page + Steele / IBI Group, with the developers represented as 8 Elm Park Properties Inc. Above the retained three-storey heritage structure, floors 4-6 are set back from the Elm Street frontage, with the tower above structurally supported by cantilevers. Floors 4-6 feature an astoundingly compressed 266 m² floorplate, while the tower levels above expand to a still dramatically compact typical floorplate of 463 m². 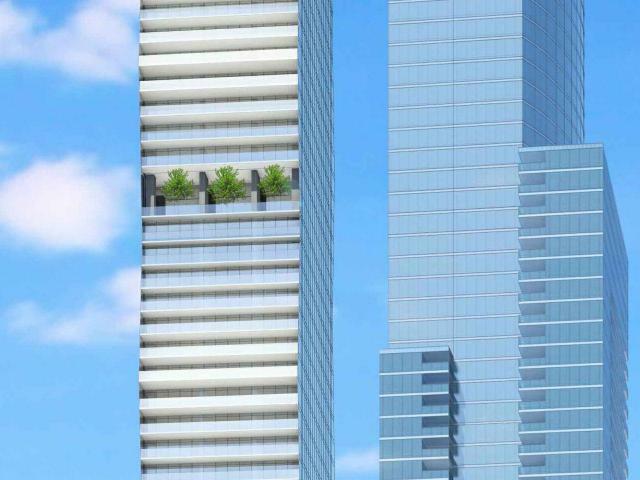 To put this in context, the City’s Tall Buildings Guidelines for tower floorplates indicate an optimized size of 750 m², which is reflected in most of Toronto’s recent point towers. The plan calls for 469 condominium units and an equivalent total number of bicycle parking spots, though no residential vehicular parking is planned. 35 of the suites, or 7.4% of the total, are proposed with three-bedroom layouts. Of the total 29,965 m² GFA, 29,250 m² would be given over to residential suites, with 715 m² remaining for commercial floor space on the first three levels. With an Elm Street frontage of a mere 19.97 metres—alongside a lot depth of 32.91 metres—the extremely compact nature of the site makes for an incredible Floor Space Index (FSI) coverage of 45.5 for the 259.5-metre tower. By contrast, the slim, 47-storey Theatre Park—which is also built on a compact urban site, albeit one with a large publicly accessible forecourt—features an FSI of 20.17. 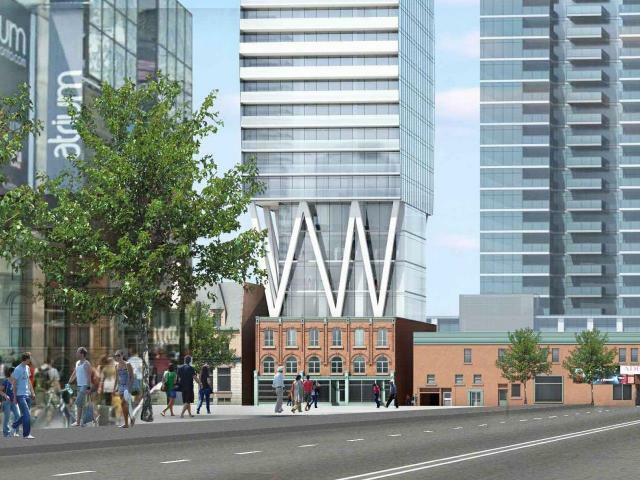 That figure is more reflective of recent downtown residential proposals. 8 Elm Street Condos perfect Walk Score of 100 out of 100. The transit score are 100 out of 100.This location is in the Bay Street Corridor neighborhood in Toronto. Nearby parks include College Park, Joseph Sheard Parkette and Larry Sefton Park.